You guys...I'm still here!! It's been one hell of a two weeks. Two weekends ago, my husband decided he was going to finally paint my polish room. It is now a beautiful shade of mint! YAY! However, it took longer than expected and then had to put the room back together again. It still isn't finished, but I am able to use it, and that makes me super happy! 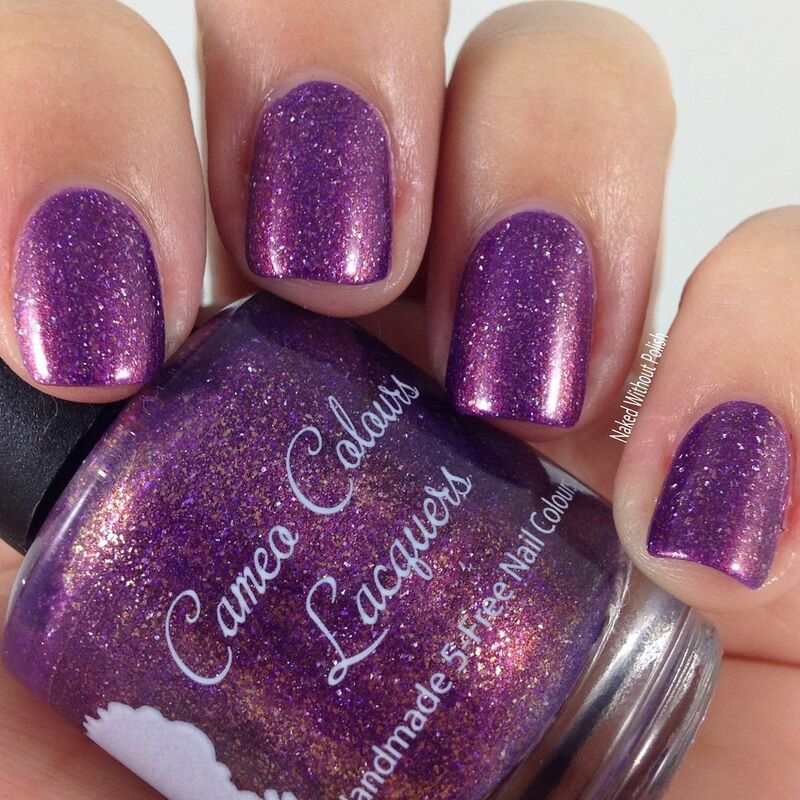 Keep reading to find out about our family getaway, as well as the gorgeous Finally Fall Collection from Cameo Colours Lacquers! By the time I got that done, it was time to get ready for our weekend trip to NYC for our daughter's 7th birthday. I cleaned the house and did laundry and packed. We left Friday morning and had a lovely train ride. 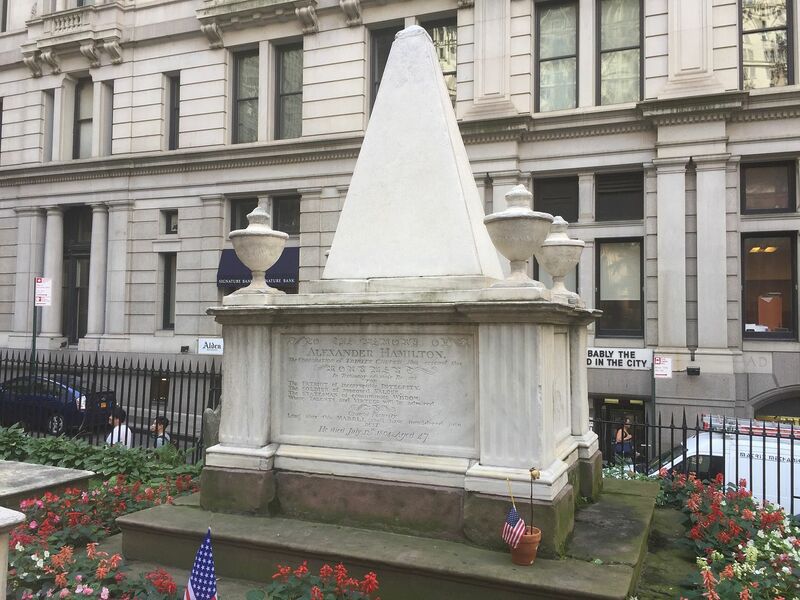 As soon as we arrived, we dropped our bags off at the hotel and headed out to visit Trinity Cemetary (kiddo wanted to visit Alexander Hamilton's grave). 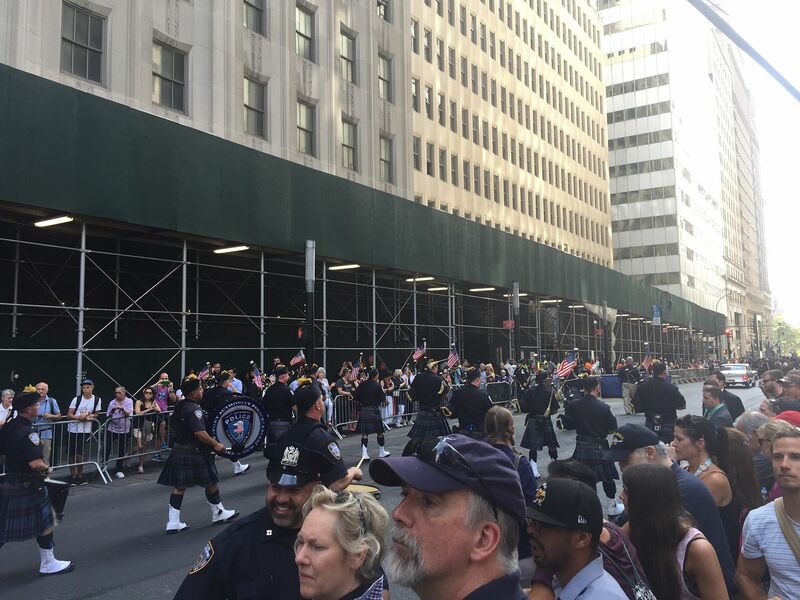 While there we got to see a parade honoring the policemen and firemen who helped out during 9/11. 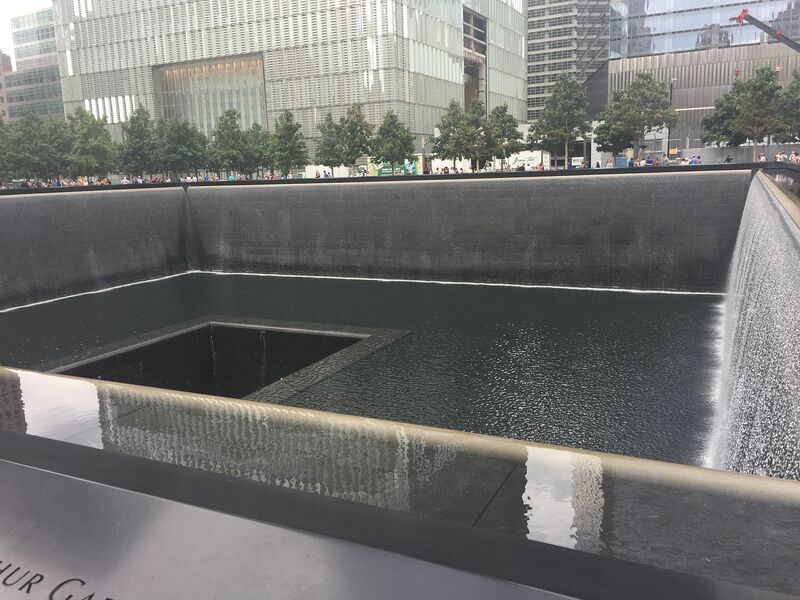 After that we headed over to the World Trade Center. 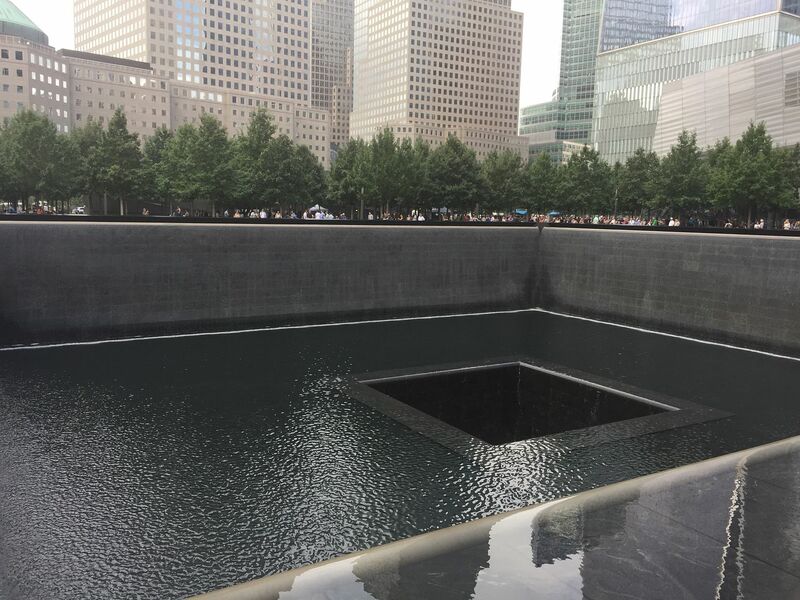 I haven't been since 1996, and it was overwhelming. In a good way. It was quite an experience. 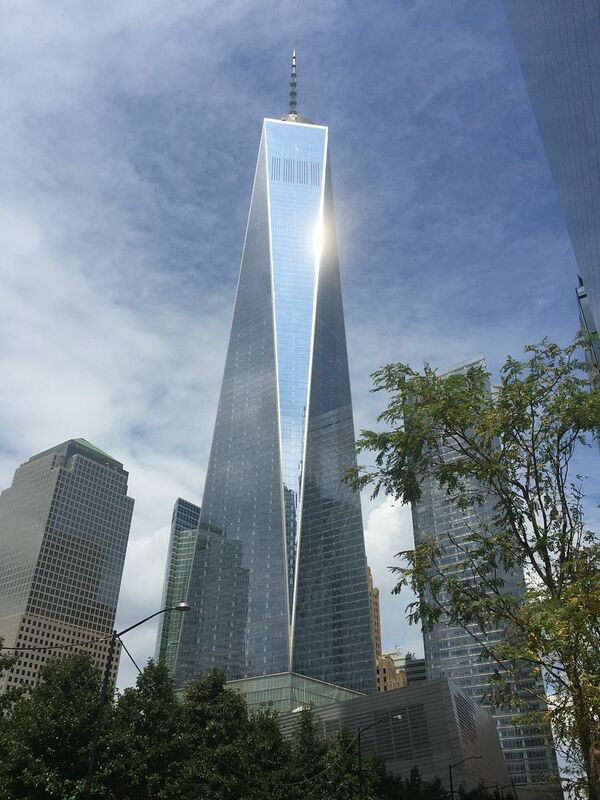 And the Freedom Tower is absolutely beautiful! 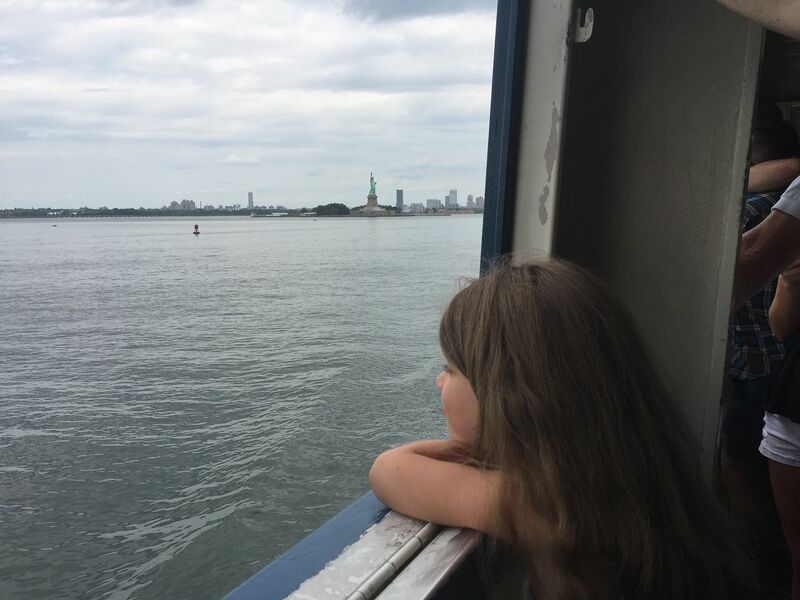 To calm down, we took the Subway over to the Staten Island Ferry and went for a lovely little ride to see the Statue of Liberty. 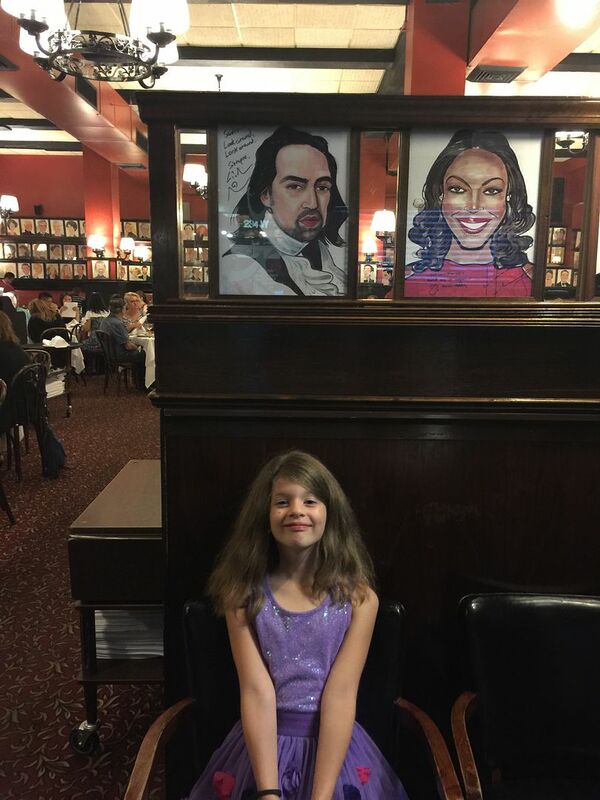 After checking into our hotel and washing the city and sweat off of us, we surprised the kid with dinner at Sardi's (she's been wanting to see the new charicatures that were added) and tickets to Fiddler on the Roof. 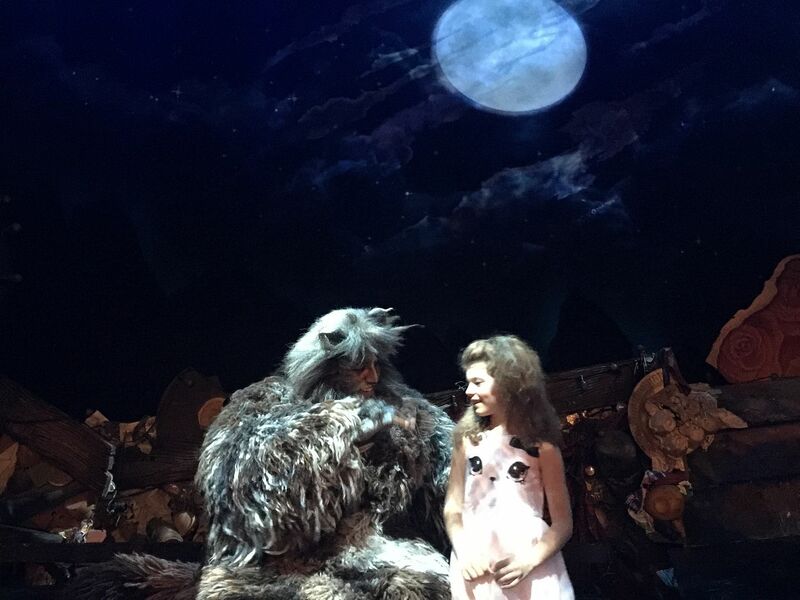 The show was amazing! She was so worn out from the running around earlier in the day she was fast asleep shortly before intermission. She was beyond upset with herself, but immediately passed out as soon as we got back to the hotel. Saturday we walked around the city exploring after having a nice breakfast at a diner in Hell's Kitchen. 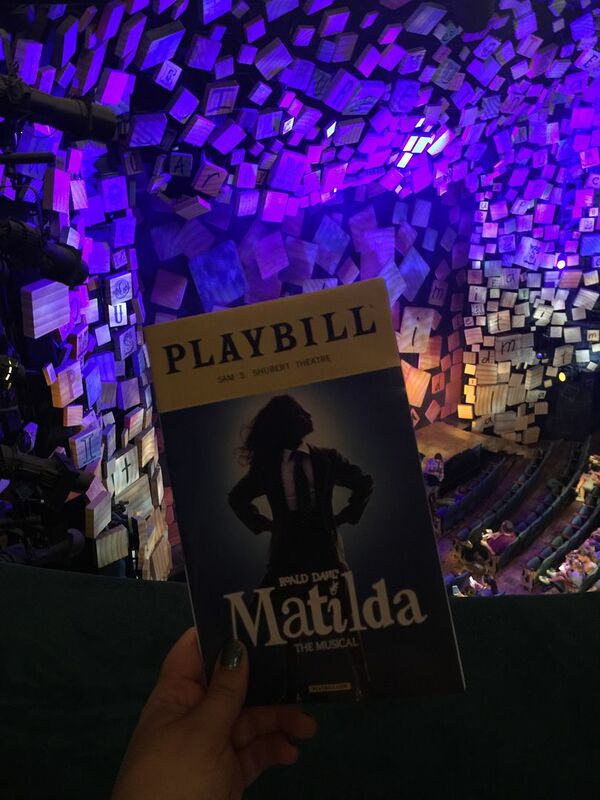 We gave her her birthday card with surprise tickets to see a Matilda matinee that day. 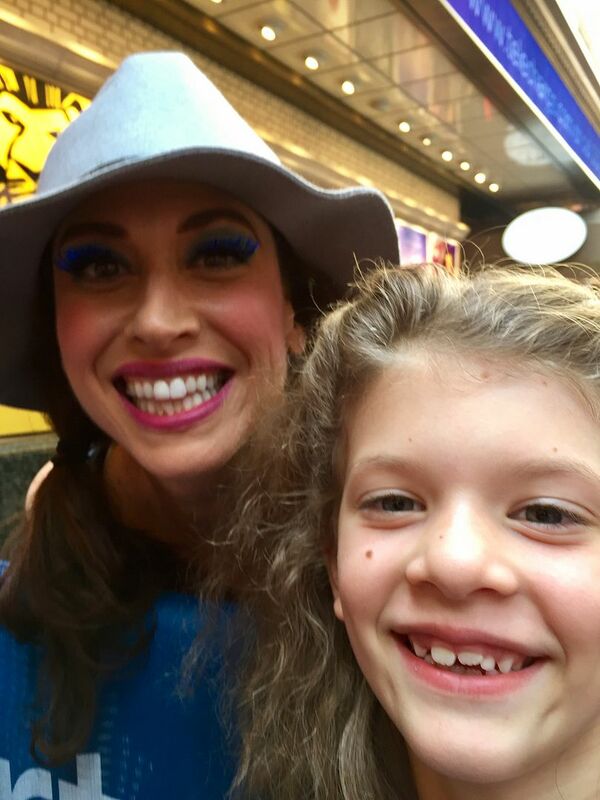 Her favorite actress, Lesli Margherita, came back to the role she originated and Maggie wanted to see her in it before the show leaves Broadway in January. 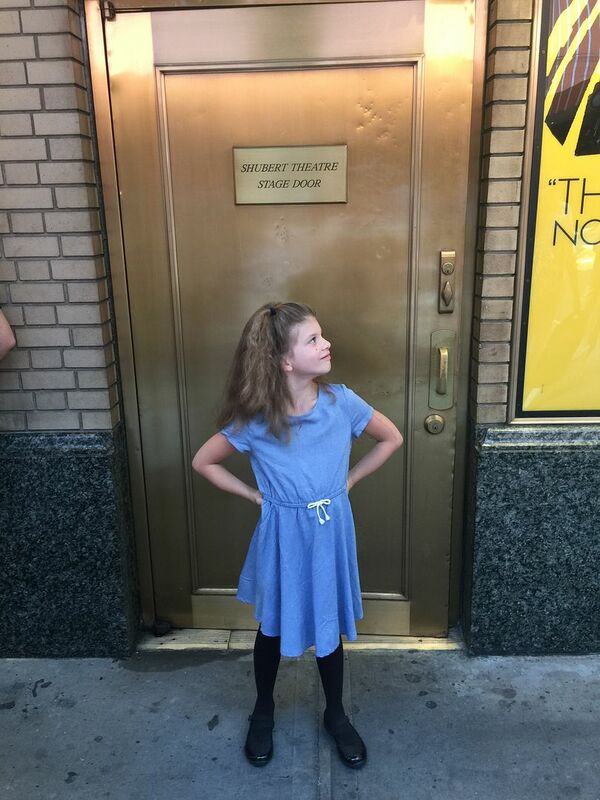 She packed one of her Matilda cosplay outfits, so she put it on before heading to the show. 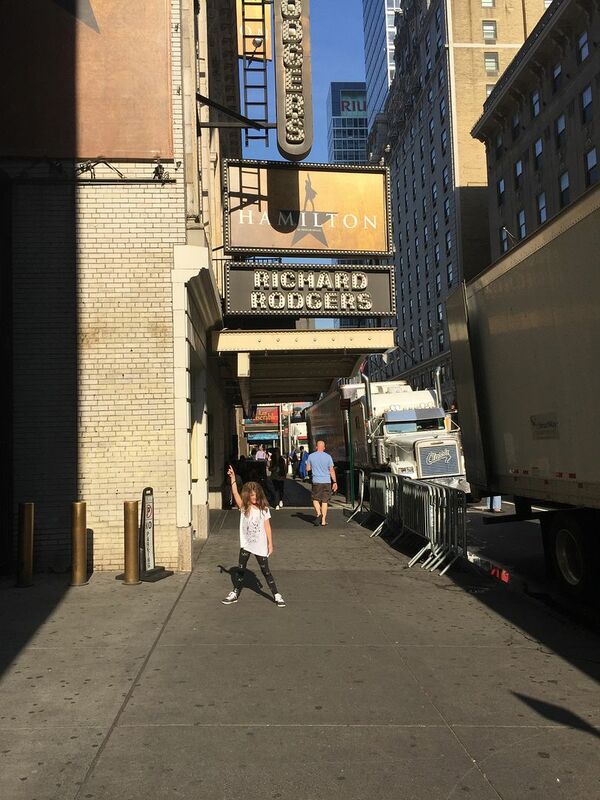 We hung out at the stage door after and she got to meet her! She even remembered seeing her running around at BroadwayCon in January, and told her she couldn't wait to see her at the Con next year! 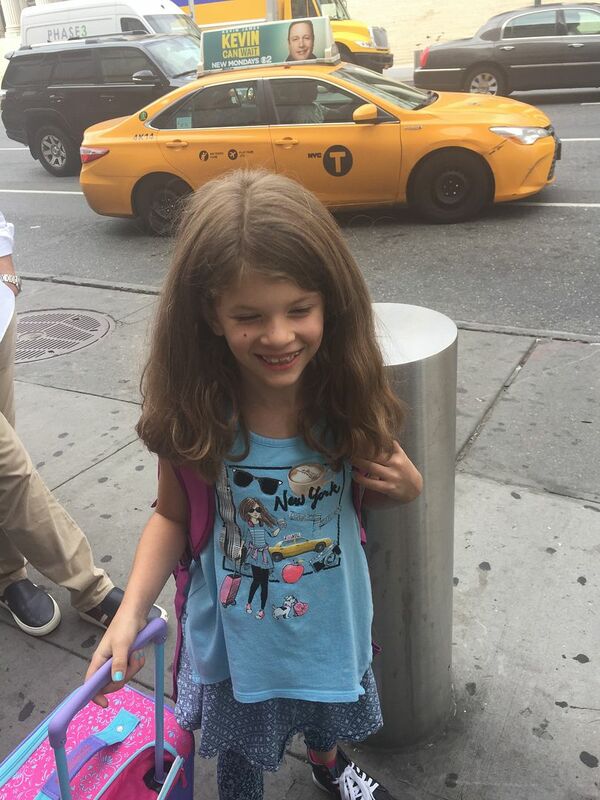 She couldn't stop smiling while heading back to the hotel to change before her birthday dinner at Serendipity III and an evening performance of Cats. Meeting Lesli was probably one of her favorite parts of the weekend. However, as we popped into the elevator to leave, she darted past a few people since she likes to be against the window as we drop down several stories. 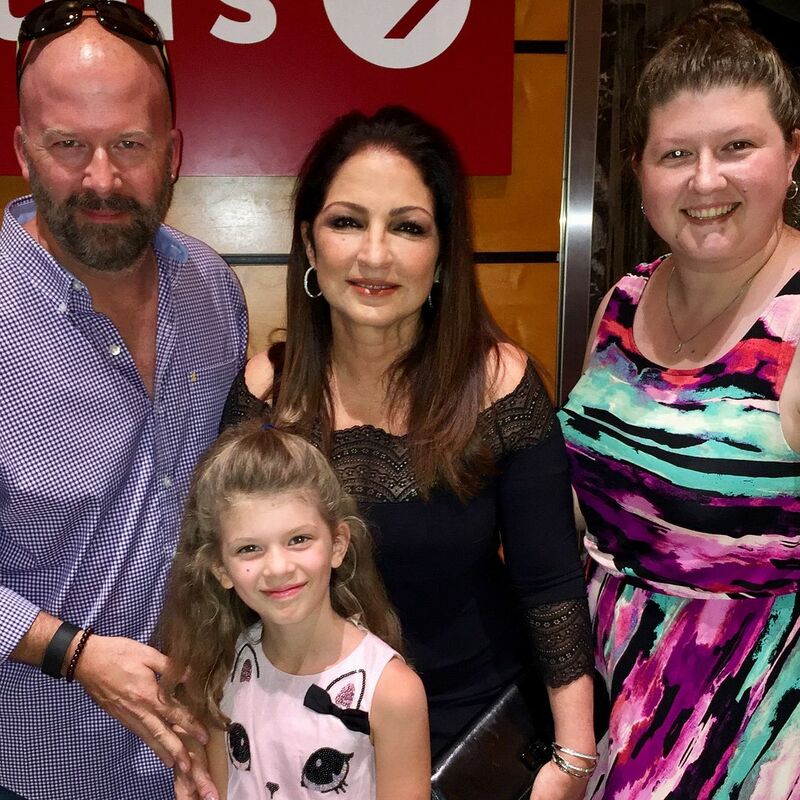 Turns out one of the people she pushed past was Gloria Estefan. 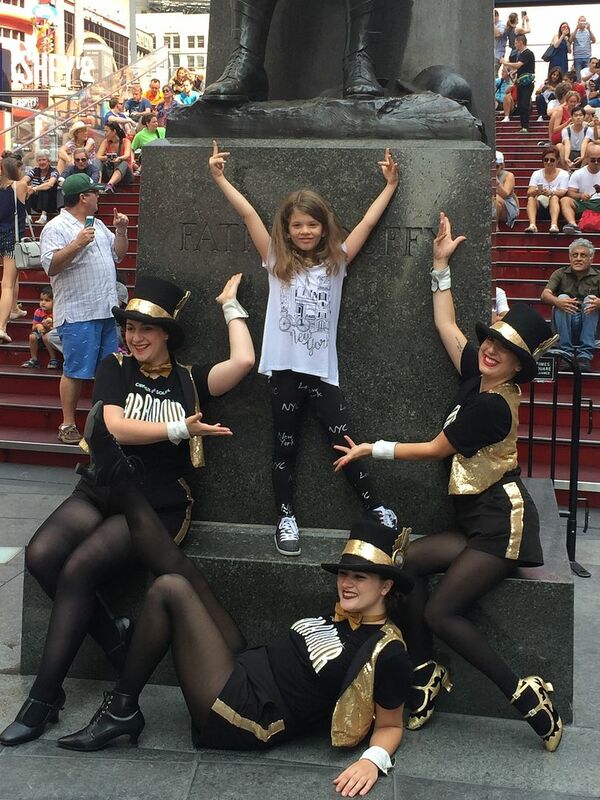 Maggie had just finished singing some songs from the show Gloria has on Broadway right now and they talked about other shows and she wished her a happy birthday. 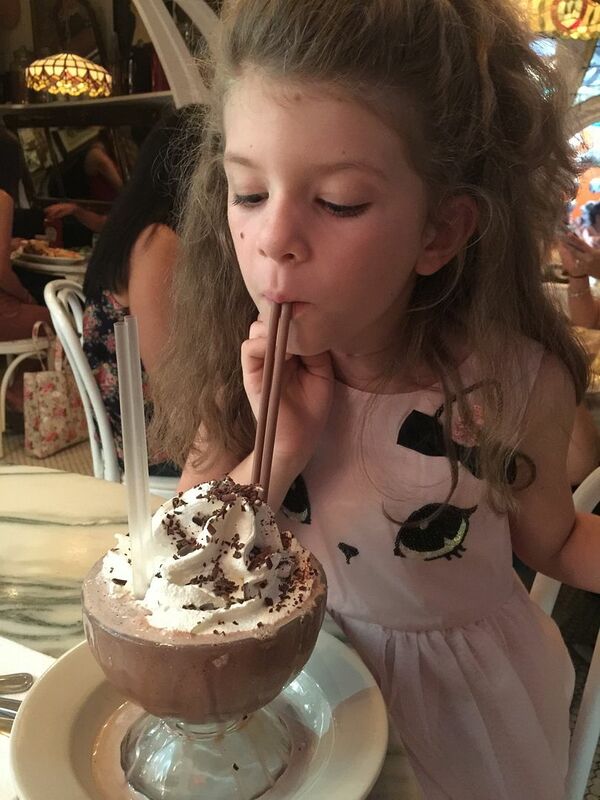 Not even a frozen hot chocolate at Serendipity III could top that! 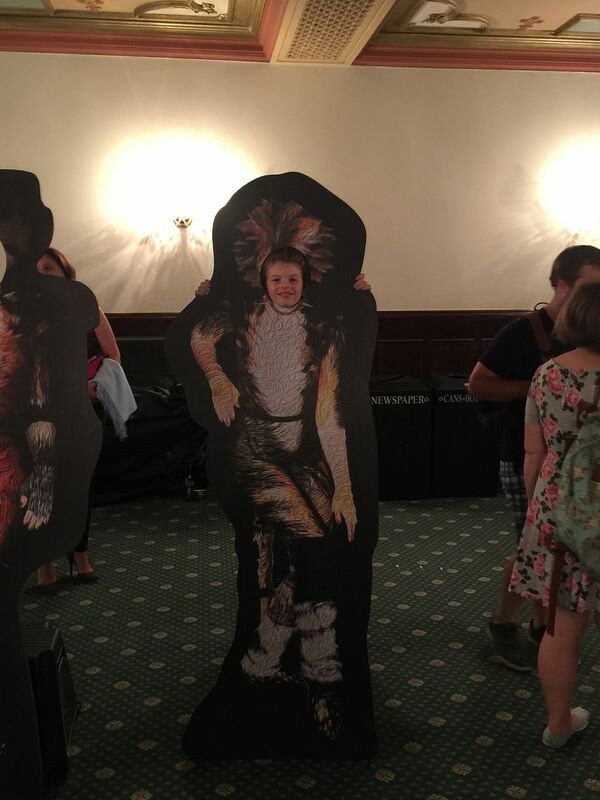 Cats was amazing! 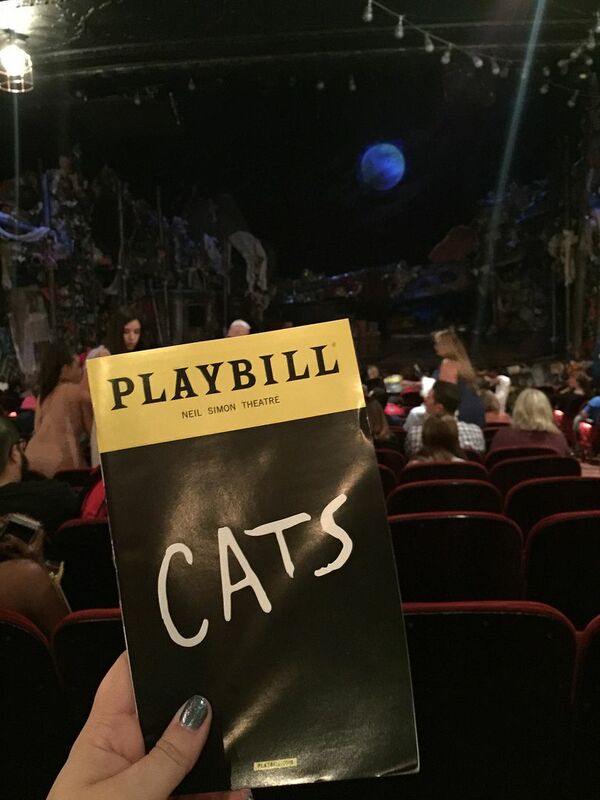 It was probably the best performance of it I've seen, and I've seen it more times than I'd care to admit. 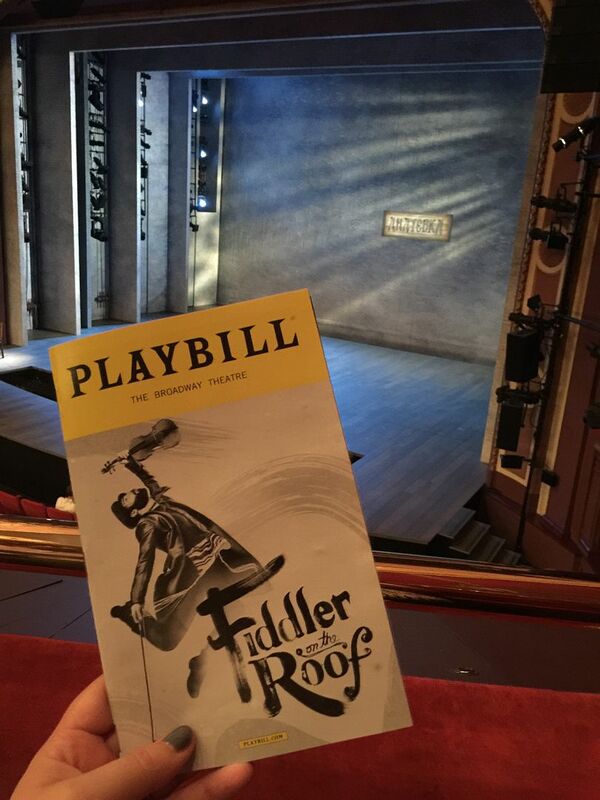 I love that they still allow people to come onto the stage during intermission. She was the first one up and was able to sit and talk with Old Deuteronomy for a bit. Our post show ritual is always to go to Junior's for cheesecake. Since she passed out the night before, we headed there after Cats. They surprised her and sang happy birthday to her as they brought out her sundae. It was right before midnight so it was a fun way to end her actual birthday. She slept well after all that excitement. We slept in a bit the next day and went to brunch at Norma's then walked around the city. We popped into the Apple store, then wandered around Rockefeller Center where she discovered the Lego Store. She had been wanting a Belle Lego set because she tries to play Hamilton with her Lego people and she needed a girl in a yellow dress to be Peggy Schuyler (Cinderella is Eliza and Aurora is Angelica). 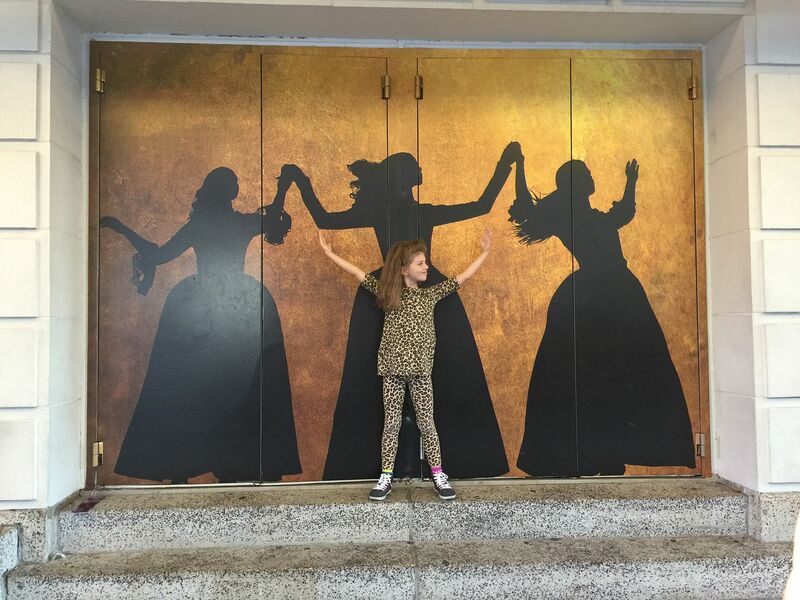 Needless to say, the Schuyler sisters are now complete in our home. 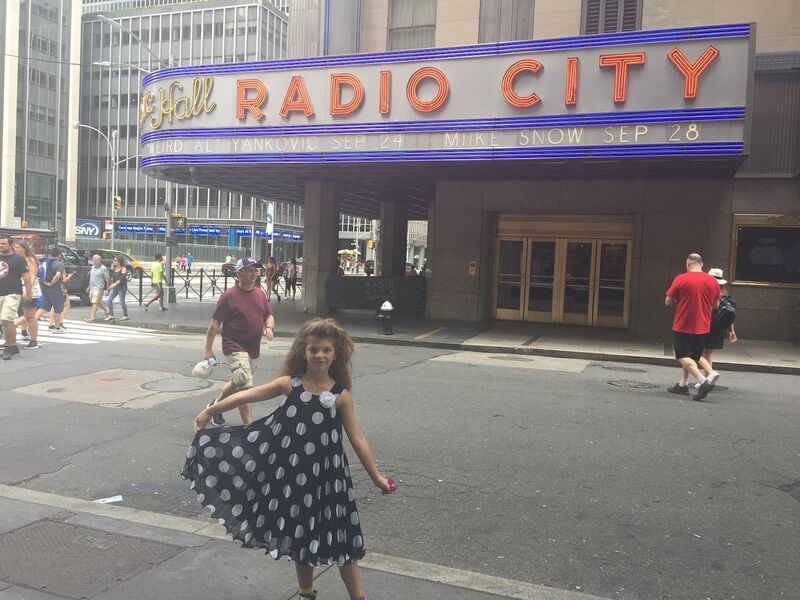 From there, she wanted to take more pictures in front of the Gershwin Theater (where Wicked is playing) so we wandered over there. 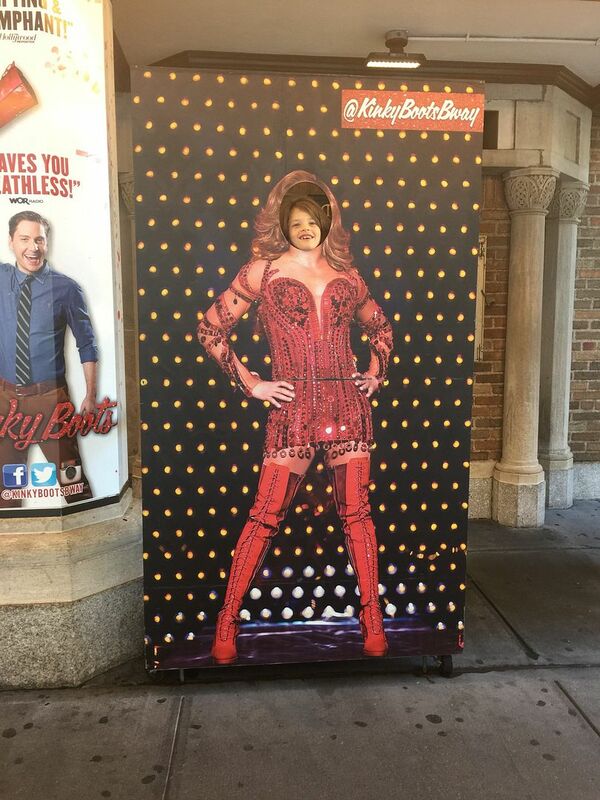 She had no idea that we had bought tickets and a friend she made in January at BroadwayCon was going to join us. After the show we had pizza and headed back to the hotel for the kiddo to change. Then we walked to Columbus Circle, Lincoln Center, hung out at the fountain for a while, and wandered to Juliard before taking the Subway back to the hotel for the evening. We had a wonderful trip! 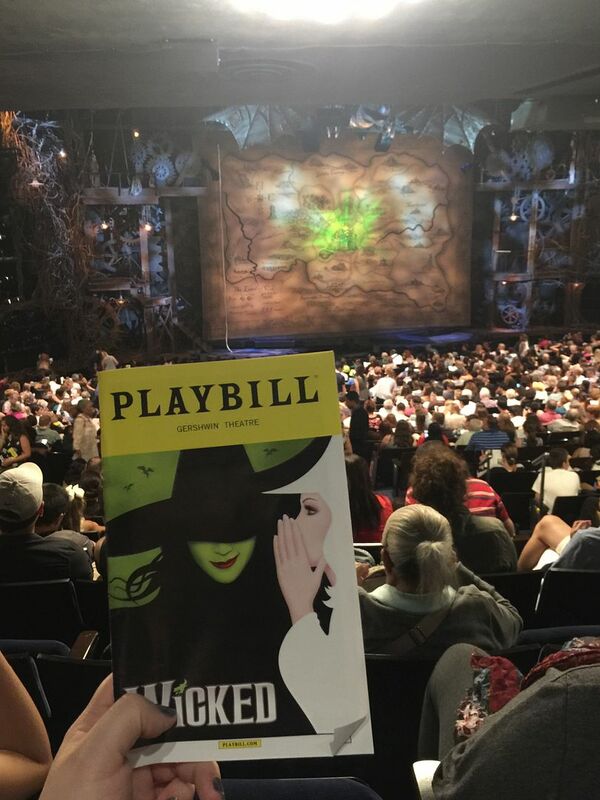 Very thankful we were there during Broadway Week and were able to get tickets to so many shows for a fraction of the cost that they normally are. 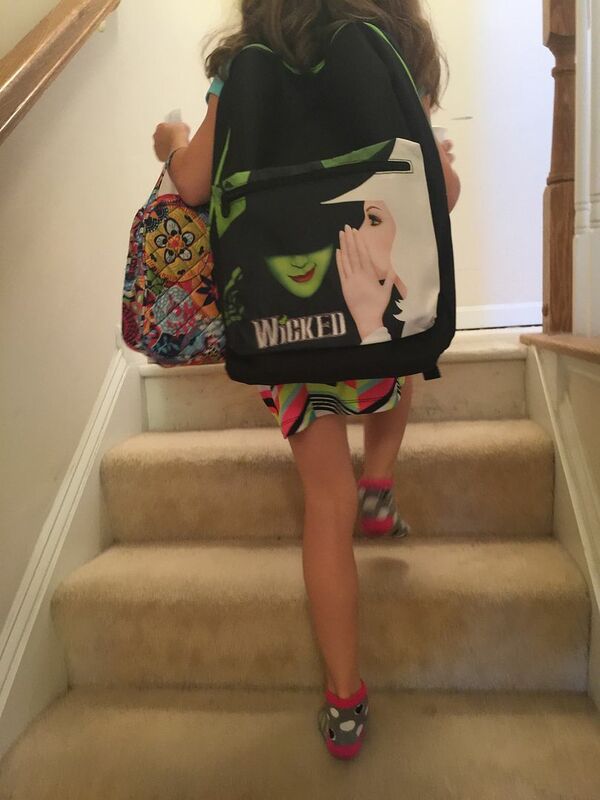 We came back on Monday, and she couldn't wait to show off her favorite souvenir to her classmates on Tuesday. After all of that, we are all sick now. On top of us being sick, hubs has been home from work which has been extra frustrating. Hopefully all will be back to normal next week. 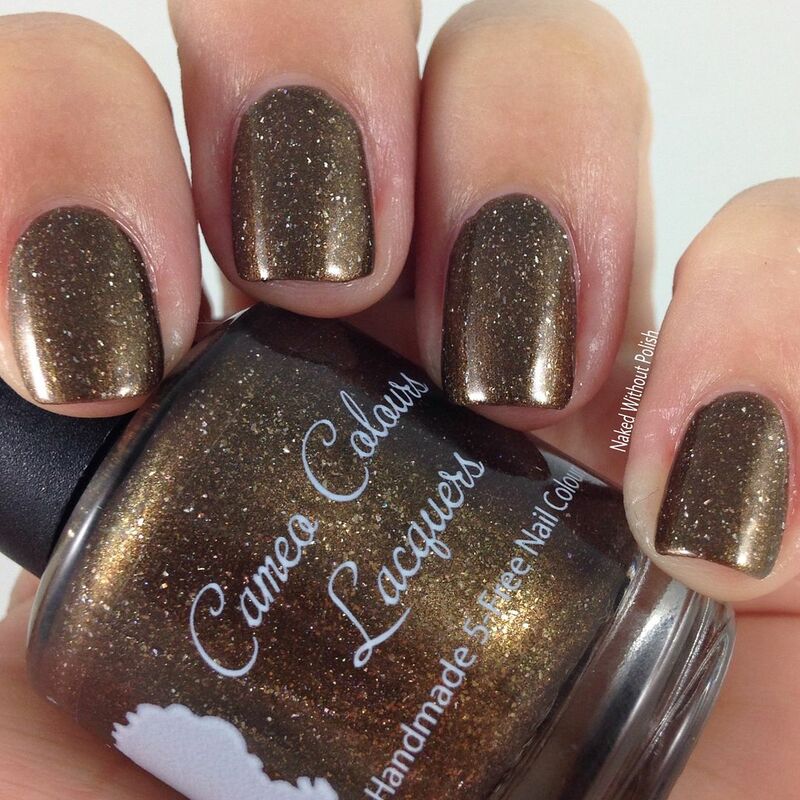 And now the reason you are here...Cameo Colours Lacquers' Finally Fall Collection. You all are in for a treat with this one. It is nice and simple, but the colors are so rich! 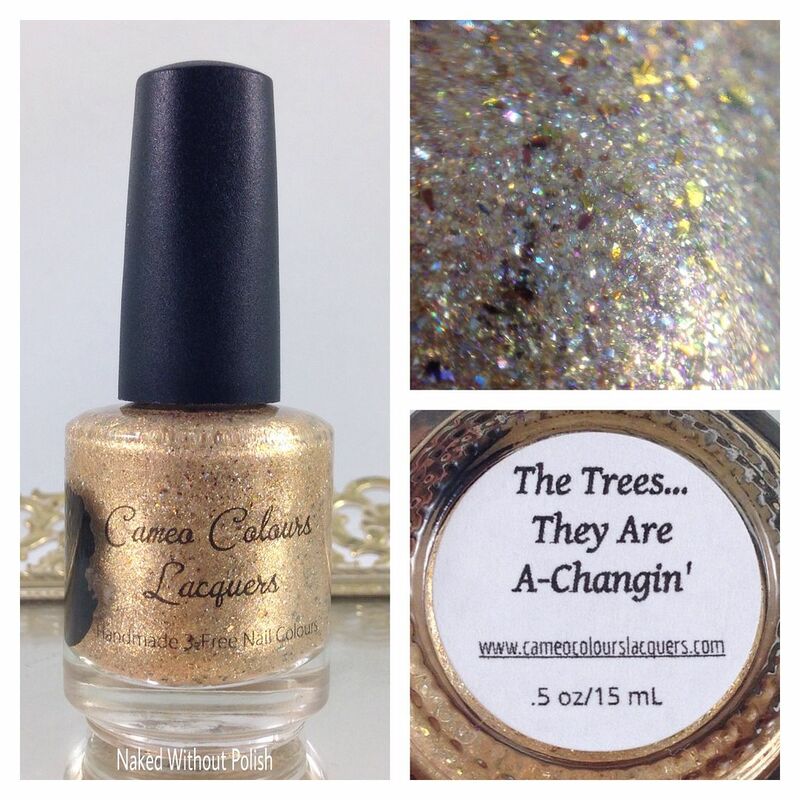 The Trees...They Are A-Changin' is described as "a shimmery gold base with a slight red-orange shimmer, scattered holo sparkle, full of bronze, copper, and silver holo micro flakes, and red-bronze-copper ultrachrome flakies". Shown is three coats of The Trees...They Are A-Changin' with top coat. The Trees...They Are A-Changin' definitely reminds me of piles of crushed leaves scattered on the ground. I love fall so much! As much as I love the sound of the wind through the trees, I love the sound of leaves being stepped on. It's one of those sounds that just makes me happy...like popping bubble wrap. This beauty has a great application. I did three coats to be safe, but you could easily get away with two coats. It is pretty packed and really opaque. 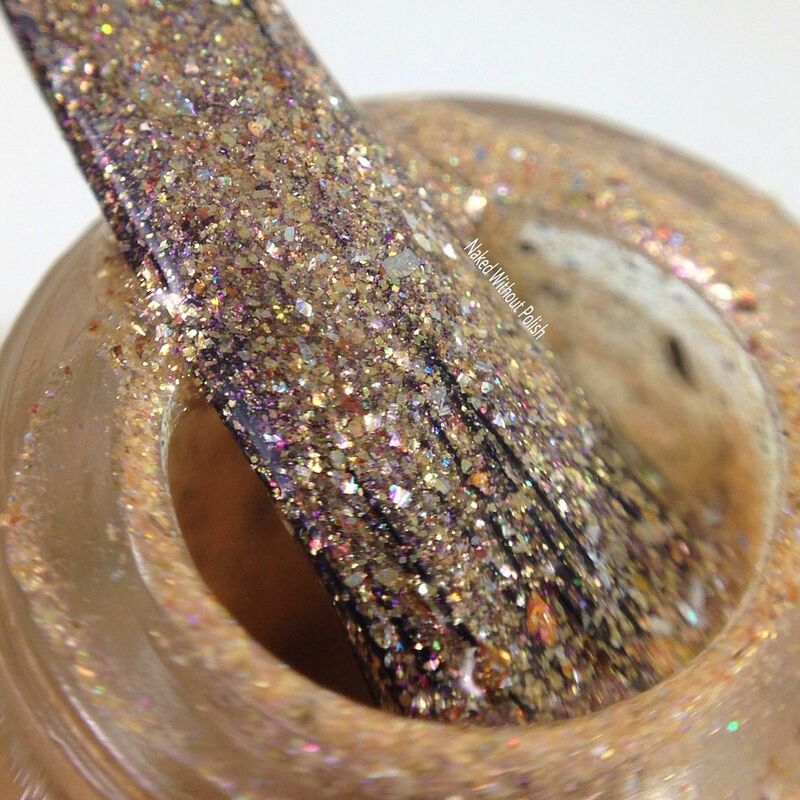 Conversations Over Cocoa is described as "a chocolate brown with goldish shimmer and scattered holo sparkle, with bronze and silver holo micro flakes". 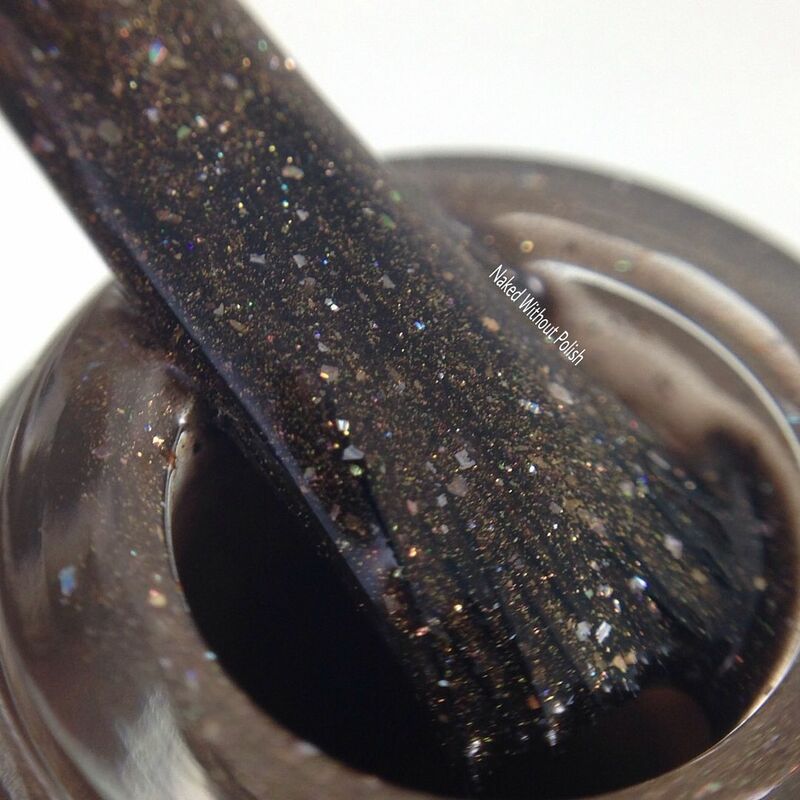 Shown is two coats of Conversations Over Cocoa with top coat. 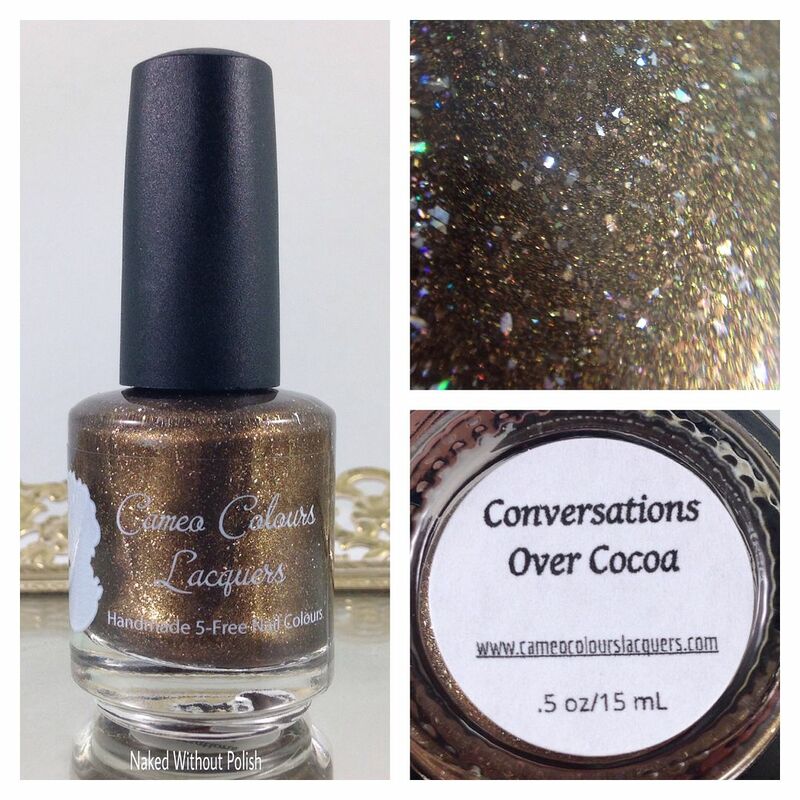 Conversations Over Cocoa is going to make you crave chocolate for sure. The color is rich and such a wonderful shade of brown. It looks like it has a hint of green in it. 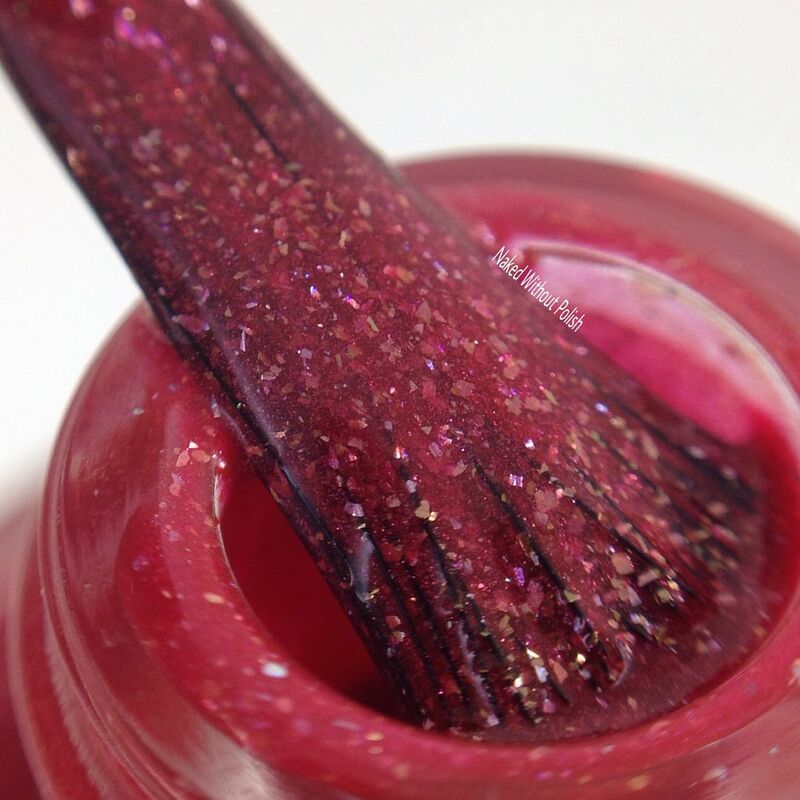 It's funny because every time I look at this polish, I have Will Ferrell in my head as Ron Burgundy saying "rich mahogany". 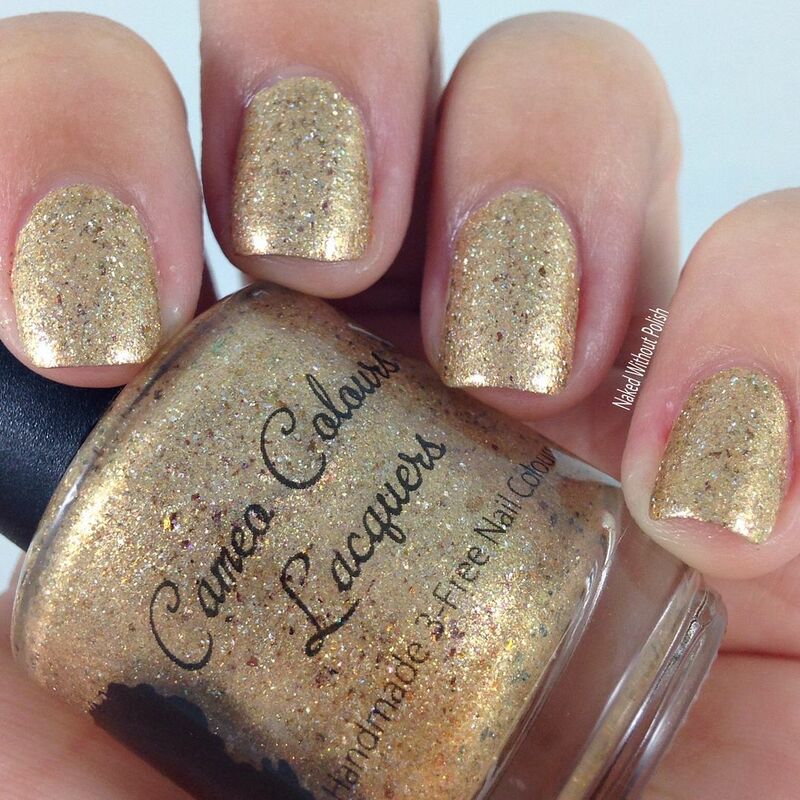 Lovely formula and application. 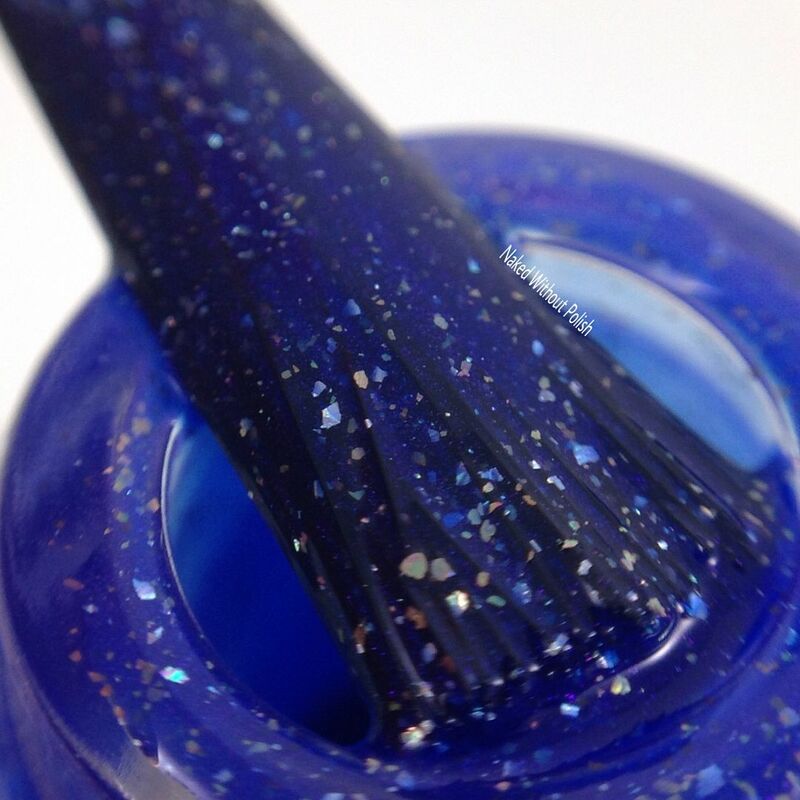 Two coats is perfectly opaque. 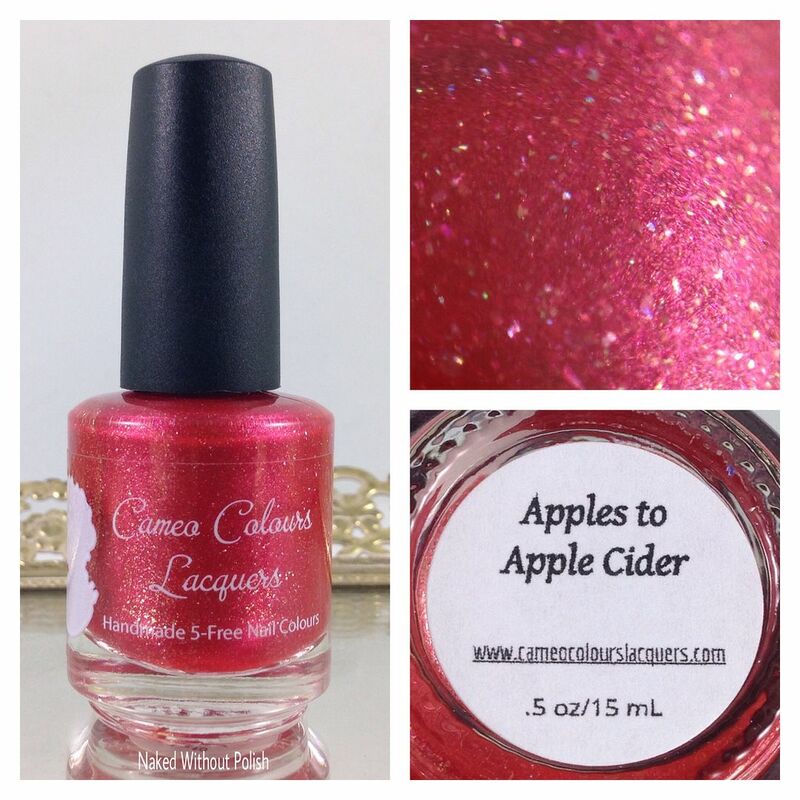 Apples to Apple Cider is described as "a bright red with an orange-gold sheen, full of copper, gold, bronze, and silver holo micro flakes". 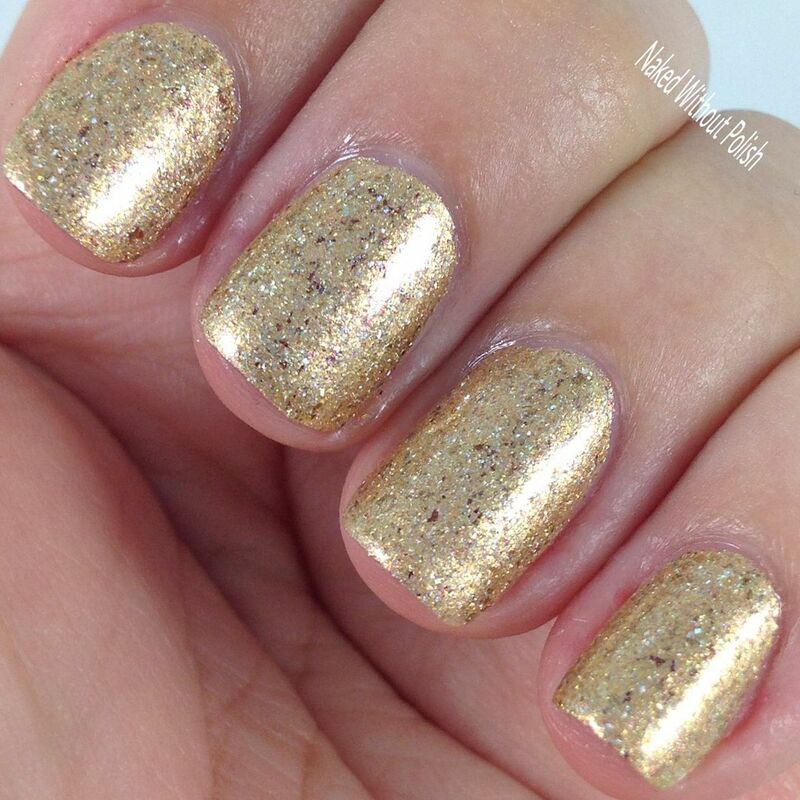 Shown is two coats of Apples to Apple Cider with top coat. Apples to Apple Cider is sure to make your mouth water! 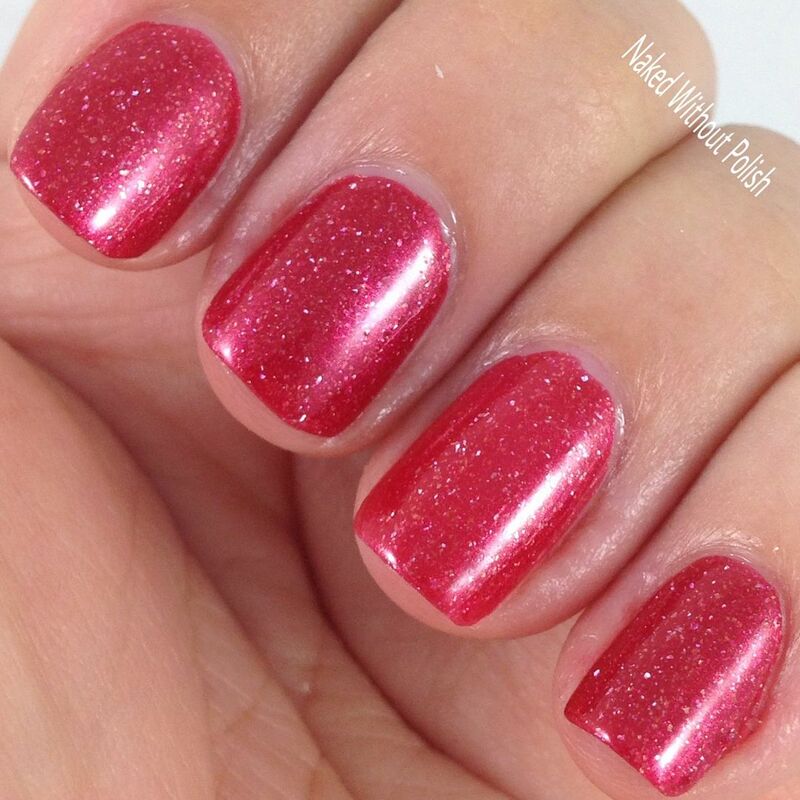 It is the perfect shade of apple red! 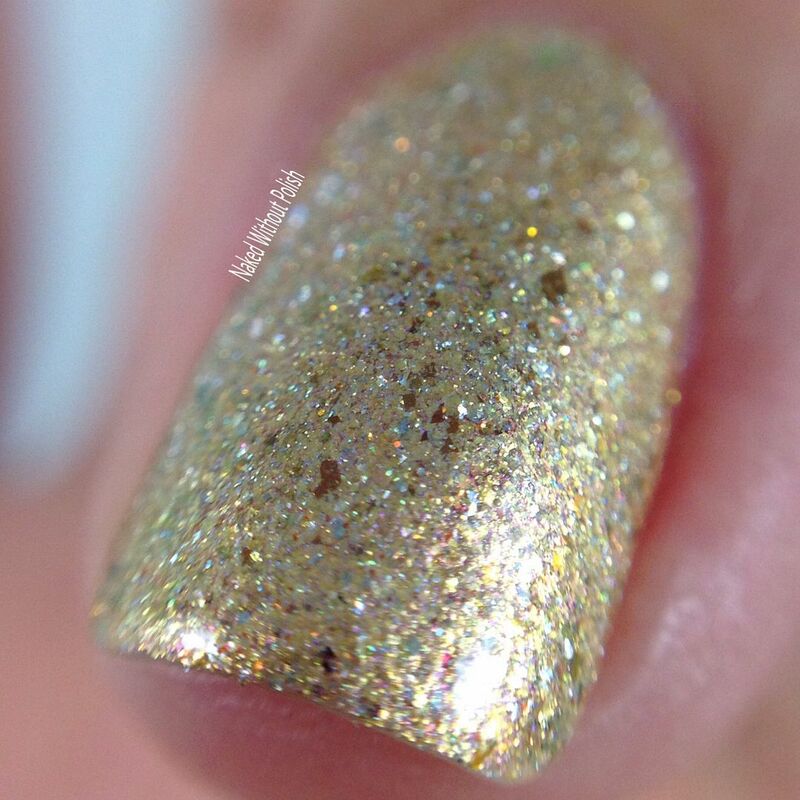 I have already set this polish aside to put on my toes for my next pedicure. I have a feeling this is going to be my go to red this fall! 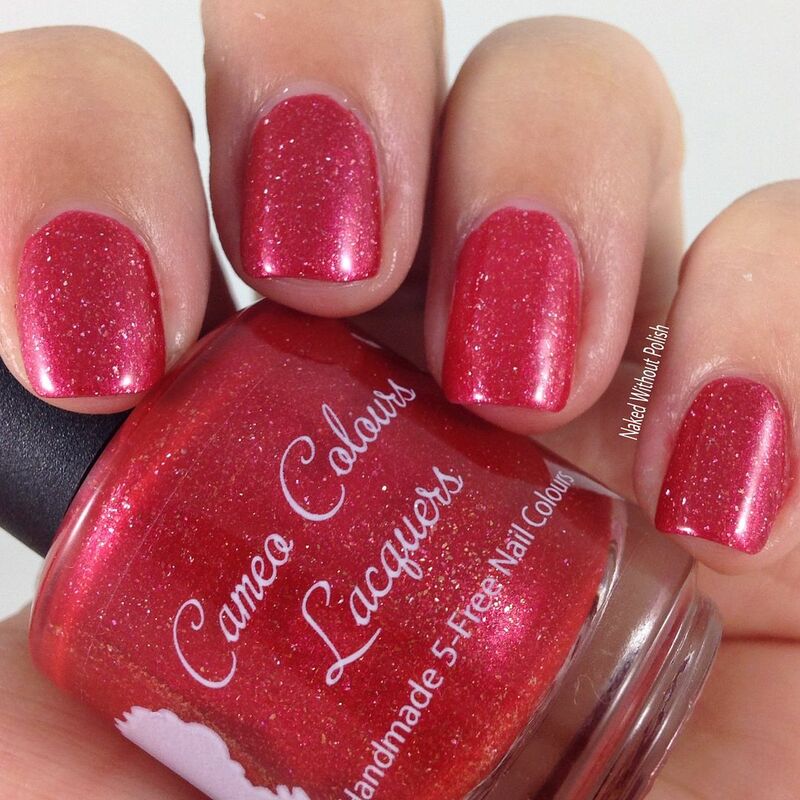 I've been loving reds lately, this one definitely tops the list! 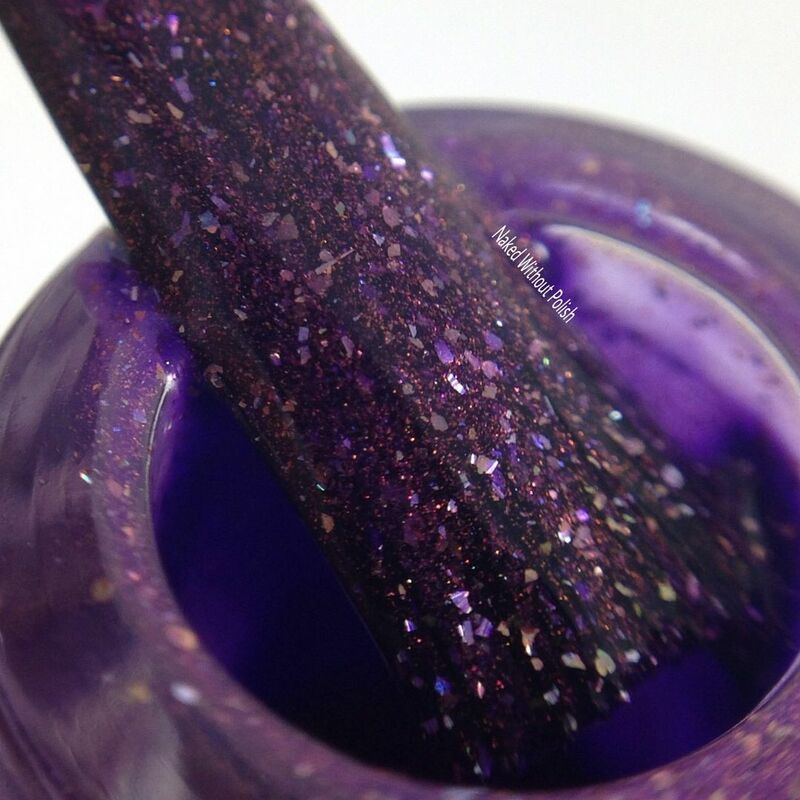 Same great formula as the others, and opaque after two coats as well. 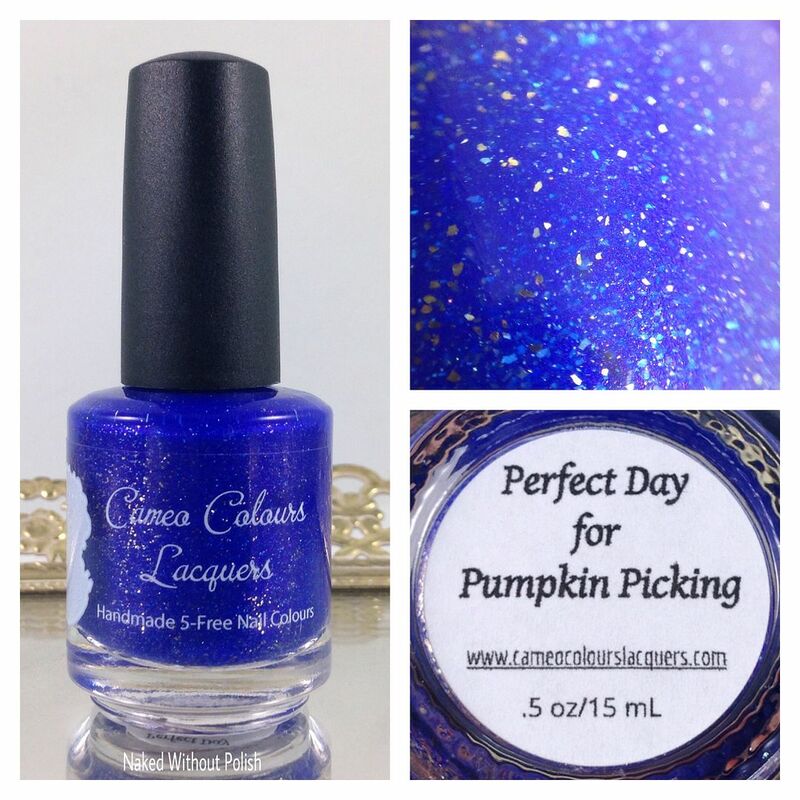 Perfect Day for Pumpkin Picking is described as "a bright blue jelly with a slight pink shimmer, scattered holo shimmer, and bronze and silver holo micro flakes". 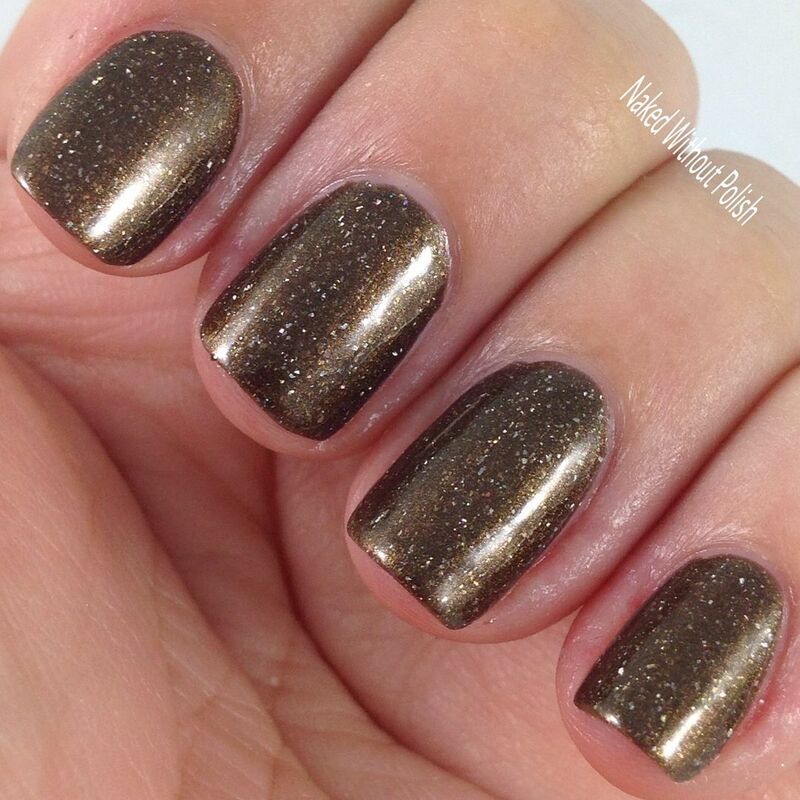 Shown is two coats of Perfect Day for Pumpkin Picking with top coat. Perfect Day for Pumpkin Picking is going to jump to the top your list of go to blues. Just you wait! The color of the sky on a perfect fall day. Rich and still bright, not too dark. 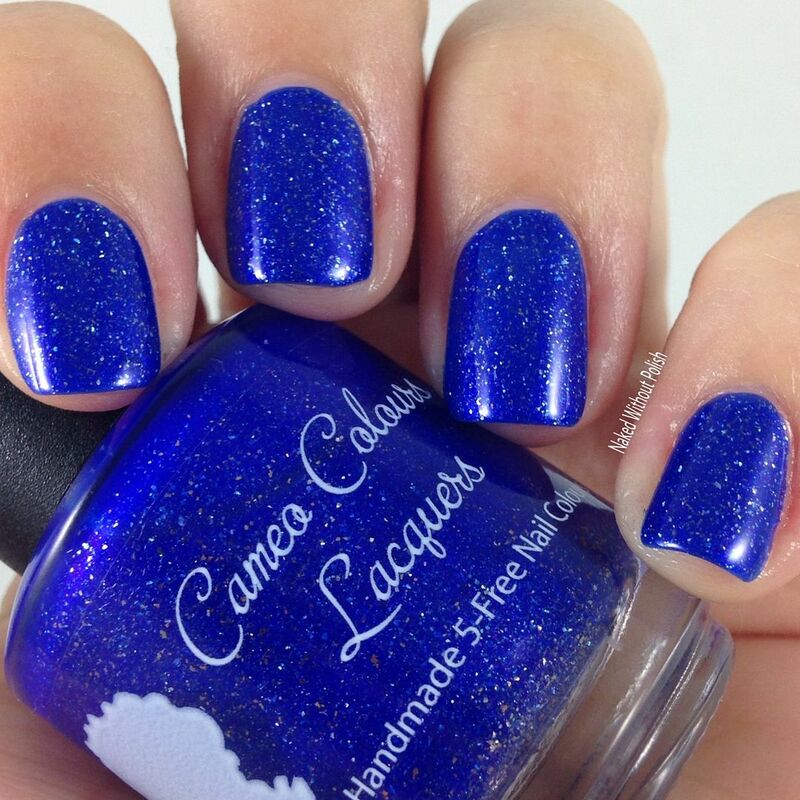 Great for those of you who are ready for fall, but don't necessarily like dark shades. I did two coats, but you could easily get away with one coat on this one. It was quite impressive. Snuggie Salutations is described as "a deep purple with copper shimmer, scattered holo sparkle, and full of bronze and silver holo micro flakes". Shown is two coats of Snuggie Salutations with top coat. Snuggie Salutations is going to have you comfy and cozy. This is one of those beauties that you find comfort in. It makes me feel incredibly happy...like being wrapped in a soft blanket...or Snuggie if you will. 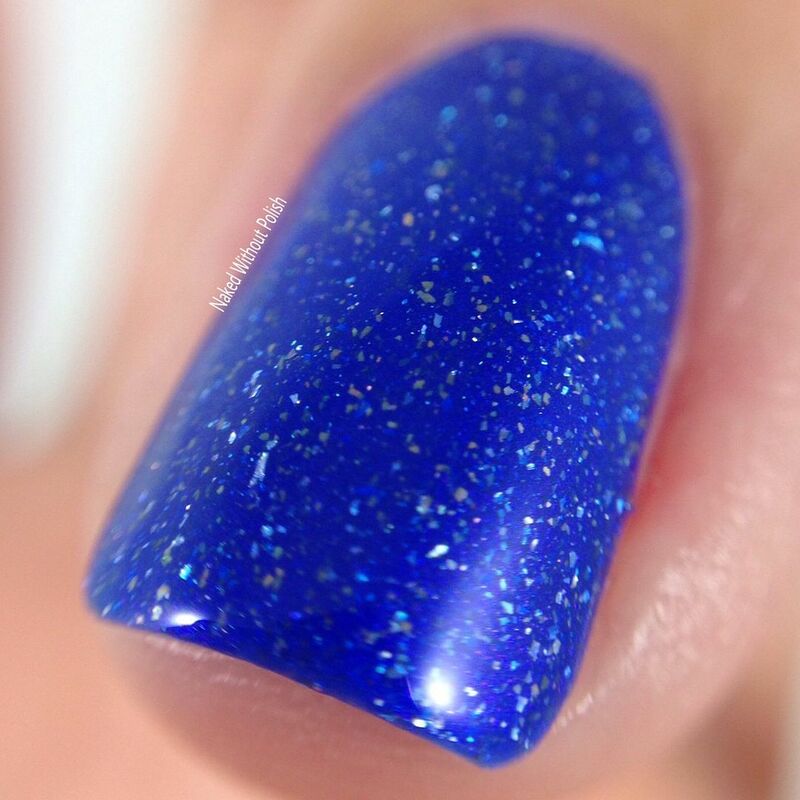 I am head over heels for this polish. The combo of everything is flawless. 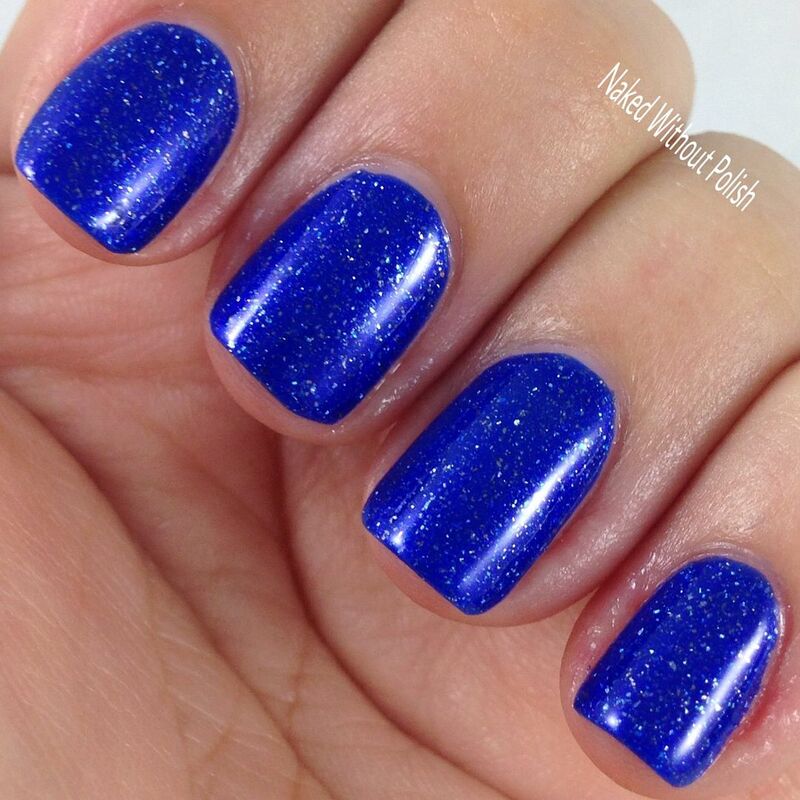 Same wonderful formula and smooth application. Opaque after two coats. 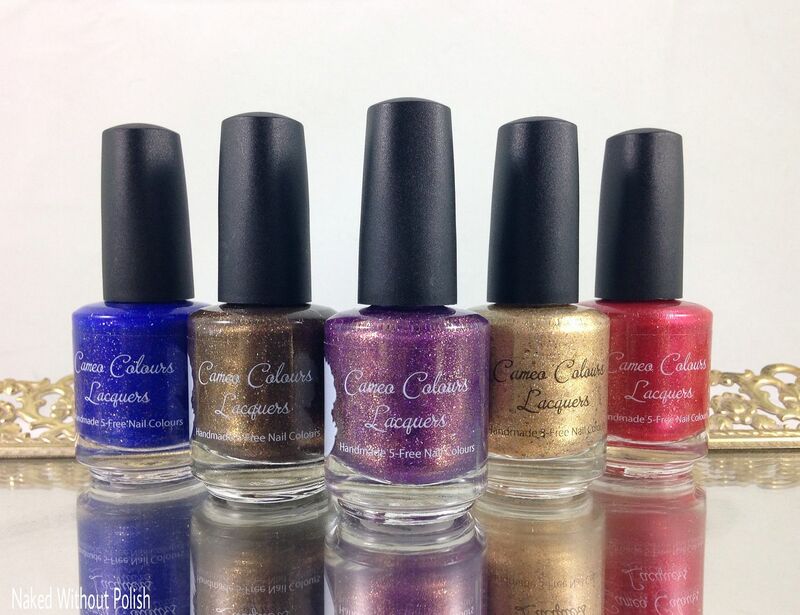 There you have it...Finally Fall Collection from Cameo Colours Lacquers. She always does a beautiful job, but I have to say that I look forward to her fall stuff every year. She always kills it. The full collection will be available tonight, Friday, September 16th at 7 pm EST for $40. Only want a few colors? No worries, you can get them individually for $9 each. Just a warning...if you get the full collection, go ahead and get a back up of Snuggie Salutations. You won't regret it! Anything jumping out at you from these? What will you be picking up?